The Economic Freedom Fighters (EFF), South Africa's leftist political party, has published its manifesto as the country is set to hold general elections in May. The EFF, the third-largest party with 25 seats in the 400-seat parliament, calls for dramatic re-distribution of land and nationalisation of key economic sectors. It claims that apartheid did not end in 1994, when the ruling African National Congress came to power and spearheaded efforts to eliminate it. "The economy in South Africa continues to day to be under the ownership and control of white minority settlers, whose ownership and control of land in particular, were gained through settler colonialism and its corollary — the dispossession of the black colonised," reads the manifesto. "It is our considered view that the political change-over in 1994, did not bring true liberation. It was a bluff which continues to subject black people to economic and social apartheid." According to the EFF, this effectively means that black people have been left landless on the margins of economic production — something the party wants to fix immediately. The party vows, if it comes to power and is able to form a government, to immediately expropriate the land and re-distribute it in a "demographically representative" manner. This would effectively mean the black people gaining control over majority of the land. The EFF is also campaigning on a pledge to nationalise all mines and mineral wealth, banks, and other strategic sectors of the economy. 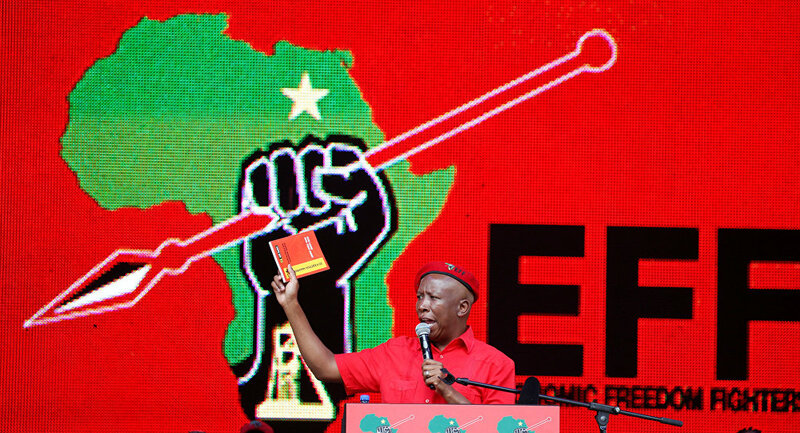 The manifesto outlines how the EEF will "crush white monopoly capital", its leader Julius Malema said, as quoted by South African independent radio station Jacanda FM. "We are a party that fights for black people and therefore we do not apologise for that." South African President Cyril Ramaphosa said that the white community, which accounts for eight per cent of the population, owns 72 per cent of farmland, while the black community, who make up some 79 per cent of the population, possess only four per cent. 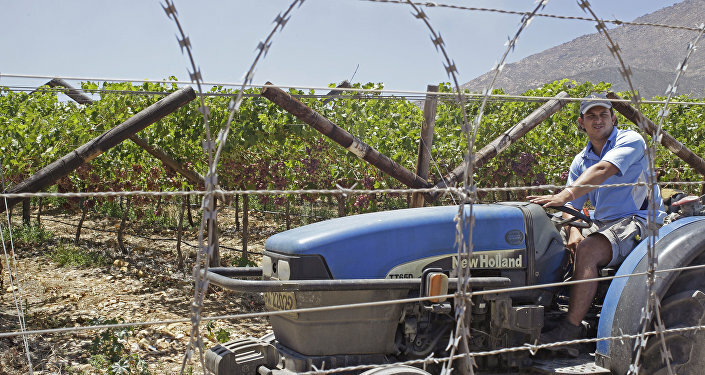 In November, the National Assembly approved a constitutional amendment enabling the government to expropriate land in the public interest without compensation. Pundits argue, however, that this could deter foreign investment and ultimately lead to economic decline. Meanwhile, reports say, violence against white South African farmers grew by a quarter last year, with assailants brutally attacking some victims with electric drills, blowtorches and bleach. Observers say the violence has nothing to do with domestic robberies and has racial overtones.